Apps are the easiest way to access games you want to play and this includes online casinos among the many where you can play for money. You do not need to be an ardent gamer as, with some of them, it is quite easy to play for money, and if you love playing games online, why not earn some cash while you do what you enjoy? There are hundreds and hundreds of bingo sites online, but there are not many that let you play and win for free. There are always games in play, so you never have to wait long to join in. The prize for each game starts at $1, but then it builds until the game has been won. If you are a bingo lover and want a good game for free, the Bingo Zone app is for you. If you go to a physical casino to play, they do not hand you free cash as you enter. This is what can happen in online casinos. Most of them have welcome bonuses for new members, and special features for existing members to receive awards as well. They do not have the time restrictions as a brick-and-mortar casino, and if you want to play casino on mobile as you go, you can use them 24 hours a day and receive bonuses of up to 200%. The prizes can be substantial and the variety of games is huge. That train journey to work every day does not have to be so boring, now you can have an app that lets you play in a live online casino. Gamesville is one of the oldest online game sites around, and there are two ways you can win money with this app. As a leader in the industry, it has free tournaments in just about every game you can think of, and the winner is awarded GV Rewards. These rewards are entered into prize draws for cash. You can also play as an individual against the clock, and some of the games have progressive jackpots. There is also a section where you can play in cash tournaments where no GV Rewards are involved. If it is a digital currency you want to win and you have an Android device, you may want to take a look at Bitcoin Bandit. A tournament takes a week, and you have to navigate Bandit the Rabbit who collects coins as he avoids bees. This is a free game that gives prizes to the to the top ten winners, as well as giving you one bitcoin for every 10,000 points you collect in a game. World Winner has tournaments in casino games, TV-game-show style games, strategy and puzzle games, and arcade games. Regardless of which type of game you prefer, there will be a tournament for you. You can practice each game for free, and when you feel ready to play, you will be matched with an opponent of a similar skill level. This is achieved by using their Fair Matching System. The chances of winning a reasonable cash prize are good as World Winner awards up to $500,000 a day in tournament winnings. You can be paid for testing online games and their apps. You have to pass the Game Tester test first, but then you can play games for the money they will pay you. They need to know if new games that have been developed are fun or boring, has it got any glitches or bugs, are there any spelling mistakes and does it work on more than one type of device? Although you will not be winning money by playing games, you can be earning anywhere between $50 and $150 an hour, depending on your experience and skill. Other sites claim it is possible to earn $39,000 a year testing games with them. Not bad for doing something you really enjoy. 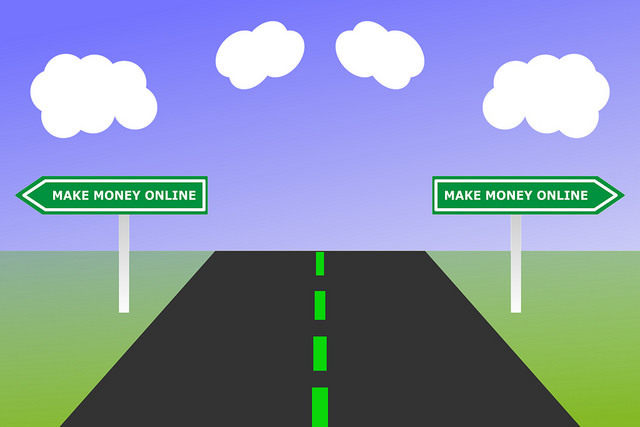 How Do Online Apps Make Money? You may be wondering how some of these apps that you can play for free can afford to pay cash prizes to the winners. It is all down to advertising. The more players they have the more the site is seen and the more they can charge companies for advertising on their site. It is a similar concept to YouTube channels that adverts keep popping up on. Generally, instead of spoiling your game by appearing halfway through, as they often do with videos, they are between games and so do not spoil your fun. It really is possible to play mobile apps for money. Whether you make bets in casinos for bigger wins, play free games and know that the wins will be smaller amounts, or play them to earn a wage, you can make money in your spare time. For some of the most successful gamers it has become a full-time job, and as more of these sites appear online, the more possible that will become.